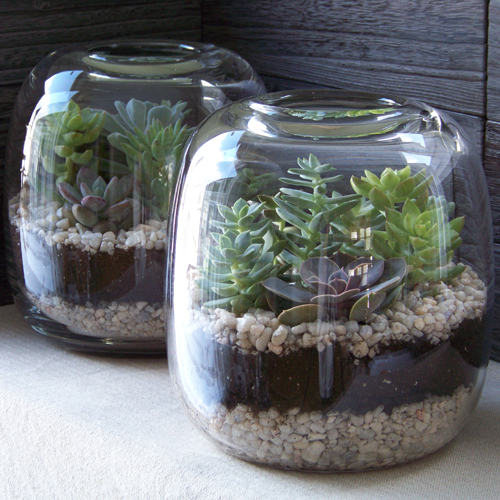 Terrariums are great idea – if you love the idea of having a patch of plants, but don’t have the time or green thumb to nurture one. These mini ecosystems are also a neat way to get the kids started on a mini garden of their own while adding some greenery to your home! Add a small amount of water once a week to keep soil moist, but never wet. Remember to place it in a spot that receives a small to moderate amount of sunlight and enjoy!